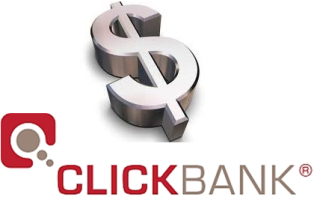 One of the most famous affiliate program around is ClickBank. They are the world’s leading largest distributor of digital products : most of all ebooks and software. You can choose between more than 30.000 products in many categories and their affiliate program is easy to join. To sign up you can go here. The average price of a ClickBank product is around 40 dollars. The average commission rate is 50%, although the top sellers offer a much higher rate, until the maximum of 75%. In their marketplace you can find all the products, listed by categories, popularity and rate of commission. Once you find a product that you think is worth promoting, you can get the link and copy in your website or blog. ClickBank offers to their vendors help to sell : check for any useful promotional material, as sample ads, articles, solo mailings, endorsement/reviews, signatures. You will get paid once your commission balance reach the amound of 100 dollars. Athough Clickbank is become a place full of spam products and full of people trying to sell everything, you can still find something interesting. You can of course list your own product to sell. The best way is to find a niche, even better solve a real problem of people. For example “How to Quit Smoke”, is a really popular and general problem to everyone, or “How to Lose Weight”. Even if they can have huge market, these topics are very popular and with a lot of competition. You should look for “niche problems”, may be with little audience, but also with very low competition, make an informative eBook and sell it on Clickbank. You can also use this free tool from Google to search for popular keywords to get an idea for your niche : Google Keyword Tool . Have fun selling in Clickbank !